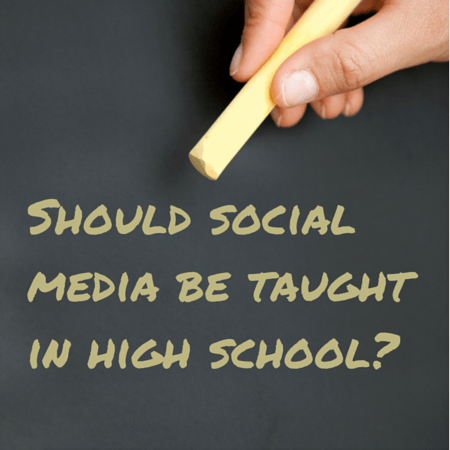 Is social media so important now that we should be teaching it as a mandatory class in high school? I saw an article recently — my mom actually sent it to me, which is pretty fantastic — that in the United Kingdom they are now making it mandatory for all high school students to take a course on cyber security. The question is: Should that be a requirement here in the United States as well? Pew Internet Research says that 83% of American teenagers are using social media, and, among that group, 90% of them use their real names and their real information in social media, which seems like a recipe for disaster to me. In this article I read from Venturebeat, they interviewed Dennis Kelly, who is President of the teachers union in San Francisco (United Educators of San Francisco). There, in San Francisco, where social media was largely invented and probably half the students there are working at Google at night or something like that. You would think they would be entirely in favor of social media education in the high school classroom. Nope. That was his actual quote. Look, the next time that your teenager wants to swim during dinner, then that argument has some degree of relevancy. 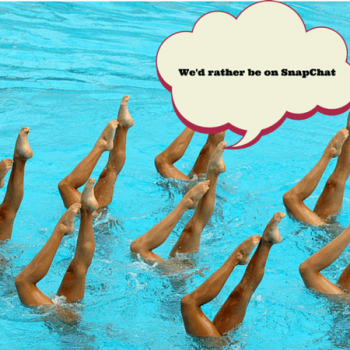 The use of social media amongst teenagers is far more pervasive than any sort of swimming issue, and it’s certainly far more dangerous when it comes to cyber security and overall societal norms. I realize that secondary teachers, high school teachers have a lot on their plate. But I’ve got to tell you if my mom, who was a high school teacher for 30 years says, “Yeah, absolutely we should be teaching social media in high school,” then that is good enough for me. I am genuinely interested in what you think on this issue. Please leave a comment. Today’s Sprout Social Shoutout is for my friend Kyle Lacy. 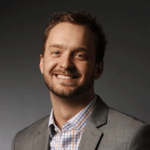 Kyle is the new head of content marketing at Openview Venture Partners – a venture capital and advisory firm in Boston that is a content powerhouse. Openview has been on the Social Pros podcast, is a former Convince & Convert consulting client, and was chronicled in my book, Youtility. Kyle was formerly head of content marketing at Salesforce Marketing Cloud (a Convince & Convert sponsor), where we worked together for years on strategic planning, and our own video series: The Baer Facts. This video is f rom Jay Today is my near-daily 3-minute video where I talk about social media, content marketing, business and life. JayToday is available on Youtube, iTunes (as a video podcast, and now as an audio podcast too), and at JayToday.tv. The show is sponsored by Sprout Social (which I use for my social media), and Candidio (a great video editing service).